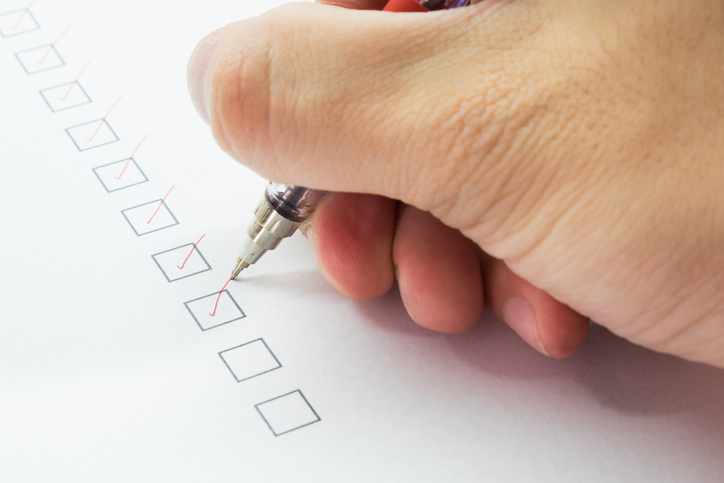 Make this checklist your first step before you wander down the road of developing survey questions for employee communication measurement. It will help you design a focused survey that encourages participation and collects useful data. Set objectives. Clear objectives will help you design a better, more succinct survey. Determine target audience: Census (survey all employees) or sample (survey a statistically valid portion of the population)? Survey window. I usually target 8 to 10 days. Anything else happening in the organization that might get in the way? Length. Is this a 2-minute survey or are you expecting a bigger commitment of 8 minutes? Versions. If your company has multiple business units or functions, will you field a common survey or customize by business unit/function? Distribution. How will you invite employees to participate? Does everyone have access to email? Tool(s). If you’re using a web-based tool such as SurveyMonkey, how will those without web access participate? Identify demographic questions. I usually target two or three; focus on demographics you use. For example, if never send communication based on tenure, don’t include it as a demographic question. Determine review and testing processes. Set target date to report results to key stakeholders.